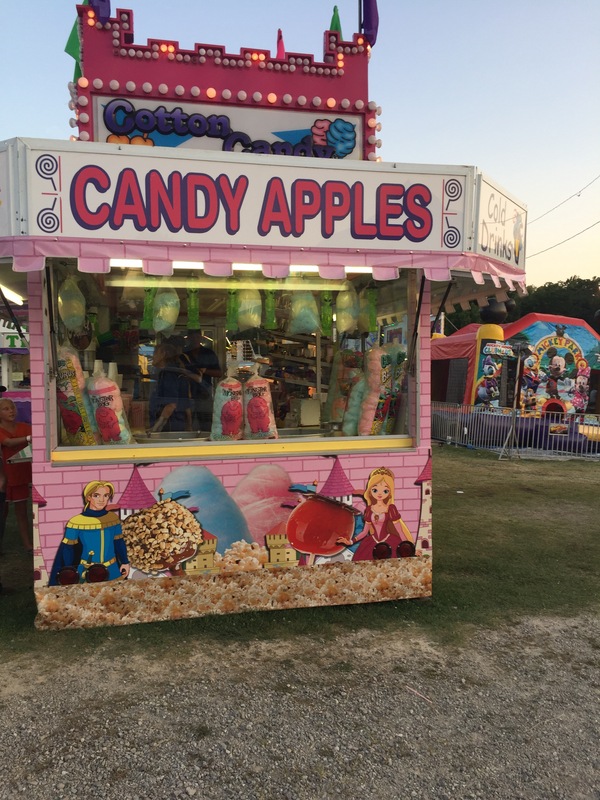 Don’t you just love a county fair? The food, the lights, a starlit night? A breezy break from the day’s scorching heat? Whizzing past tree tops on a ride that makes your belly laugh suddenly appear and spill out? Usually this time of year, Little Bit and I are gone visiting my parents and miss our town’s summer festivities, but Saturday we got to go. At first step through the gate, it looked way too small. There was like 7 rides, 2 food stands, an exhibit hall, and a rodeo arena. I mean, we are used to huge events where just getting from the exhibits to the midway is tiring, so I found myself wondering if there’d be enough to do. Turns out this one was the perfect size! 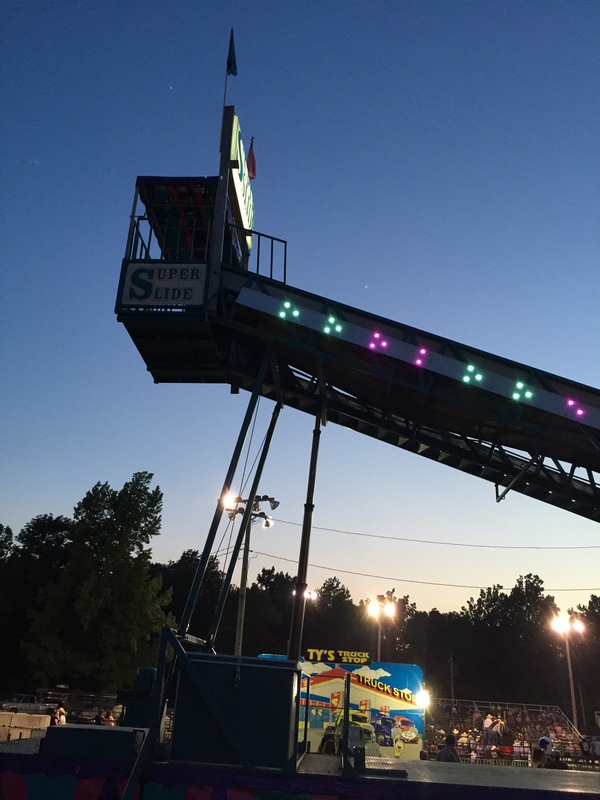 All the fun of a big one, with a slathering of hometown flair. 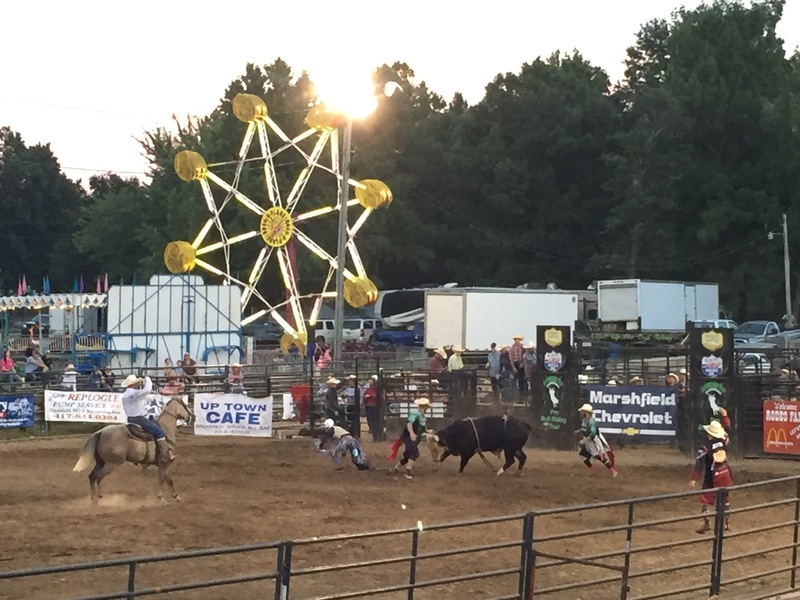 We watched men try to stay upright on bulls and braved the dizzying rides at dusk. Oh how we laughed. I’m pretty sure smiles were plastered on our faces for 2 solid hours. As our evening drew to a close, we stopped at the game booths. Do you ever play those games? I just love seeing my husband and Little Bit trying to win a prize! Well, I’m happy to report, there was more than enough to do. And, when we walked back out the gate to leave, Little Bit was carrying an inflatable dolphin and a goldfish he named Fair. Oh no, Sylvia. Bet you were crushed! Wonder how many times that has happened to kids?! Thank you, I love pictures of those lights at night. Nothing says summer like those! 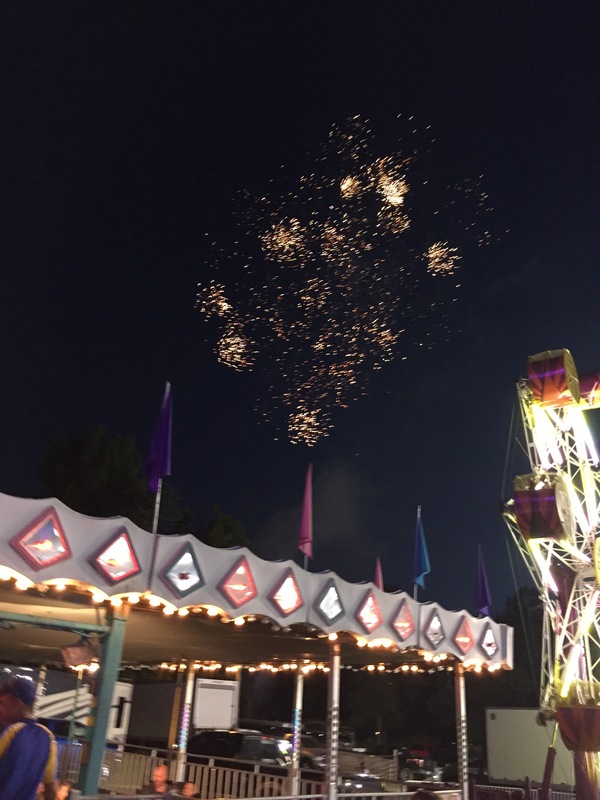 Fun story, I missed our town event this past weekend but some years we’ve gone and its nice! 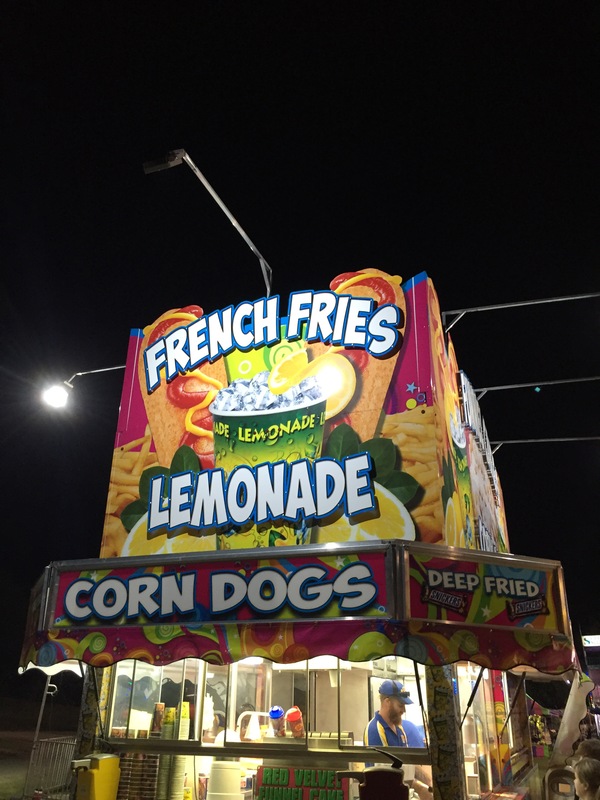 We have, but I remember better food years ago at some of the county fairs or our state fair. Haven’t been to one of those in awhile! Ohhhhh! State fairs are the best! !